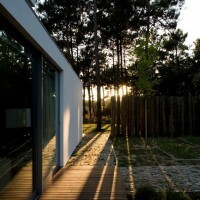 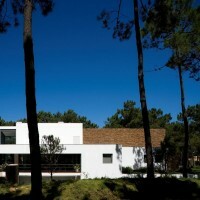 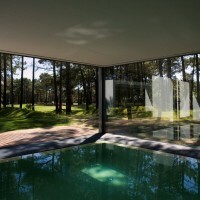 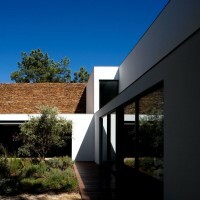 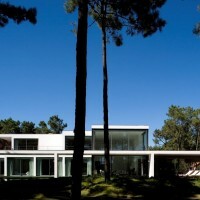 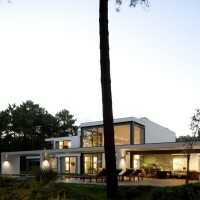 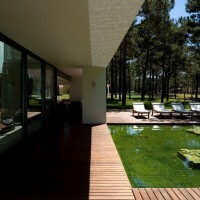 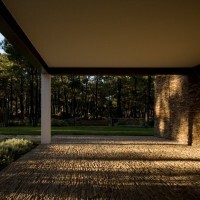 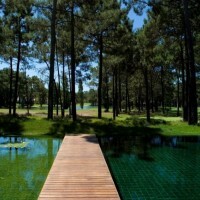 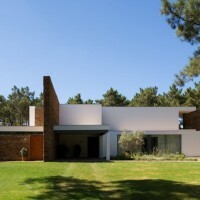 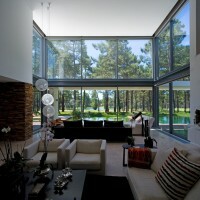 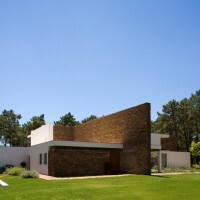 Frederico Valsassina Architects designed a lake house in Aroeira, Portugal. 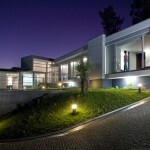 This home is located in Homestead Aroeira, on the alignment of the Main Lake Golf Course. 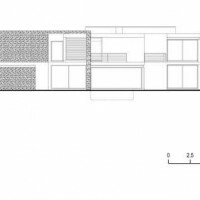 The deployment and disposition of the volumes of the “Lake House” result from the interplay between the remote to contiguous lots and existing trees. 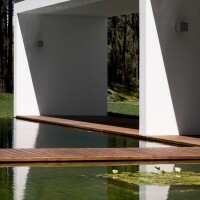 We wanted a home that understands the autonomy of different spatialities – social / private, day / night – with the creation of a terrace adjacent to the pool. 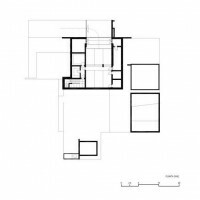 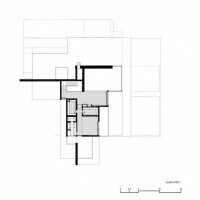 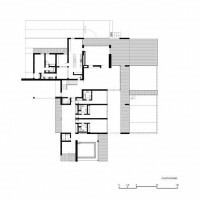 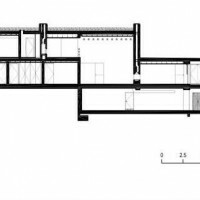 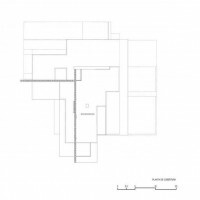 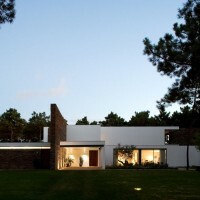 Taking advantage of the conditions of deployment of the lot, both in terms of topography and its limits, the position of the villa emphasizes the creation of dominant visual axis in the direction of the immediate surroundings of the lake. 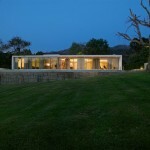 Indeed, the service areas protect strategically, social areas, occupying the most disadvantaged local deployment. 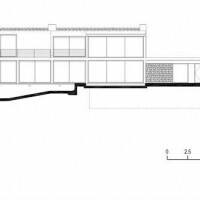 A distribution space near the entrance, articulates the intimate relationship between the zone and the area of the home, emphasizing the interaction between the lay of the land and housing program definition. 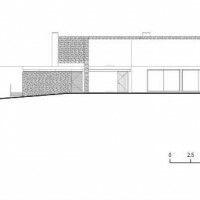 Investing still in the gradual transition between the inside and outside, the terrace is assumed as a natural extension of the living area, promoting ongoing dialogue with the environment and flexibility in the proposed appropriation of different spaces. 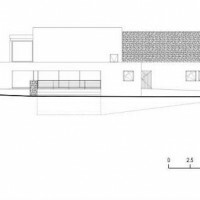 On the other hand, the materiality chosen characteristic of the region, emphasizes once again the demand for integration of housing in the specific context of urbanization of Aroeira.